distance of the major axis, AO (fig. 14-27, view A). Then, mark half the distance of the minor axis, CO. Draw the major and minor axes on the drawing sheet. the guide, draw the ellipse as shown in view B. 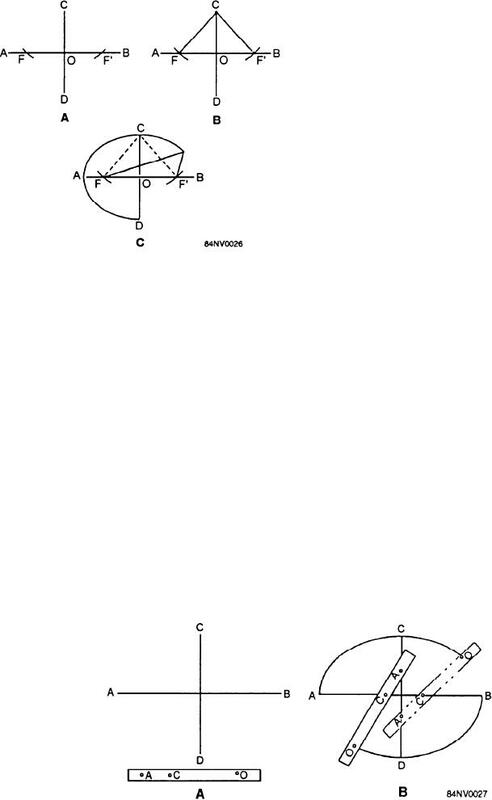 Figure 14-26.--Drawing an ellipse using a pin and string. 1. Draw the major and minor axes. the larger circle (view B). a center, draw arcs intersecting the major axis. string taut and draw the line of the ellipse. Figure 14-27.--Drawing an ellipse using the trammel method.